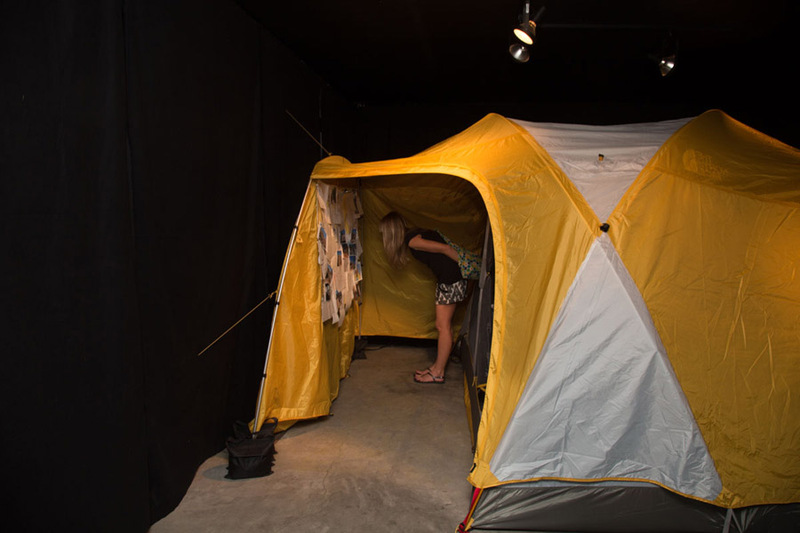 Shulamit Gallery Project Space, Venice, Ca., 2015. 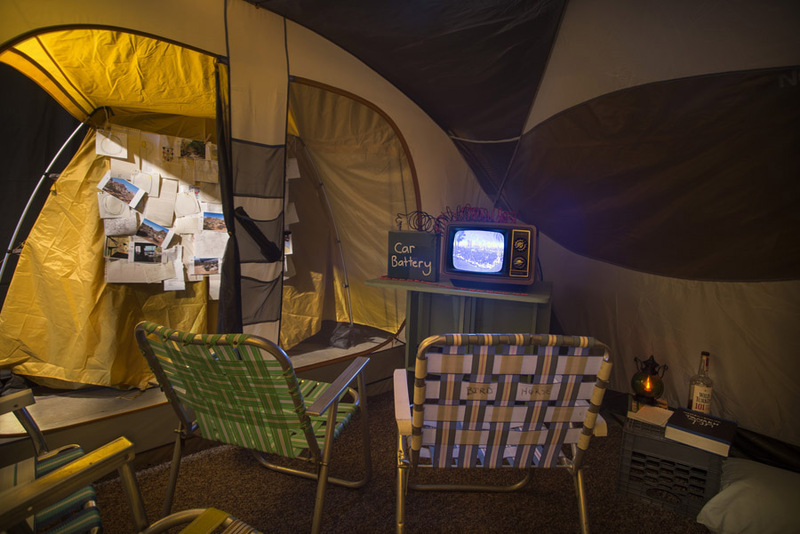 My first large scale video installation set in a 10 x 10 foot camping tent, mimicking a travel experience to Joshua Tree National Park. 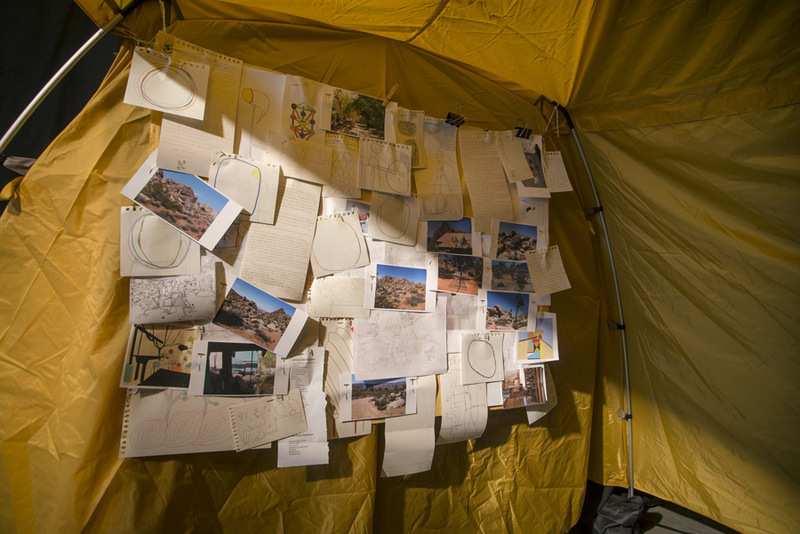 Pinned to the interior wall of the tent foyer are photographs, sketches and field notes created during a 10-day exodus. 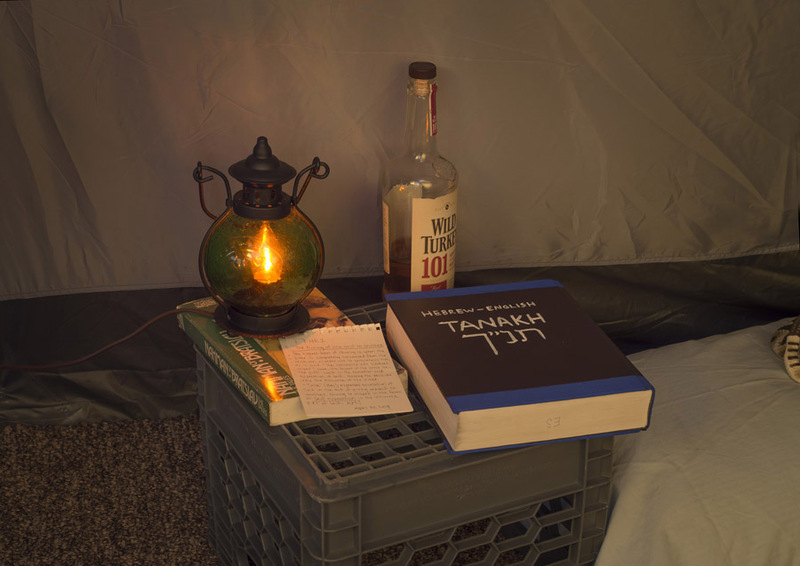 The setting looks as if I have been camping inside, as there is a sleeping bag folded in the corner with a pillow, and a milk crate becomes a bedside table with a lantern. 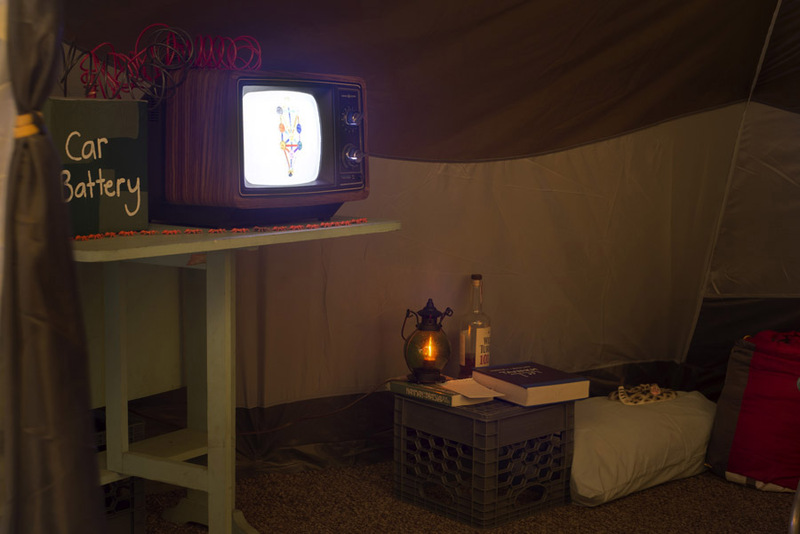 There is also an old table with a small television (a GE TV from 1975) playing a multi-media video entitled Up to Now, which is a six-minute collaborative movie by me, Carol Es, Jonathan Nesmith, and Susan Holloway. 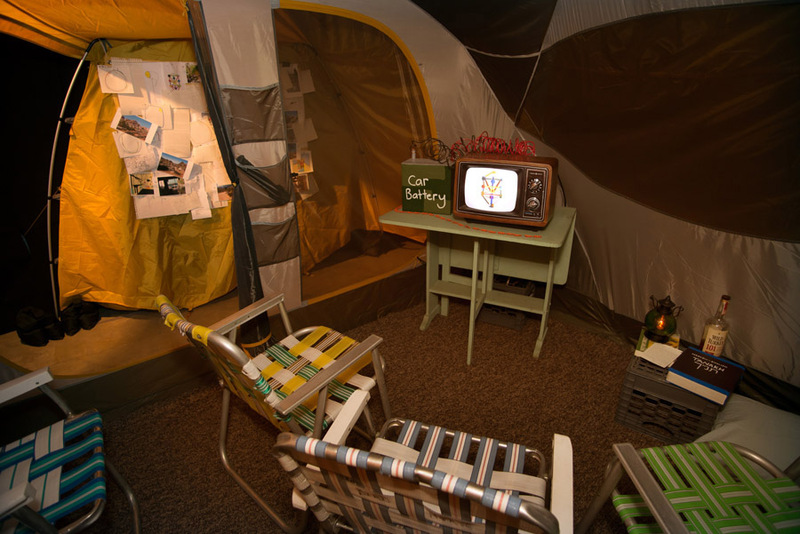 Four vintage lawn chairs are centered in the tent for visitors to sit and view the video. 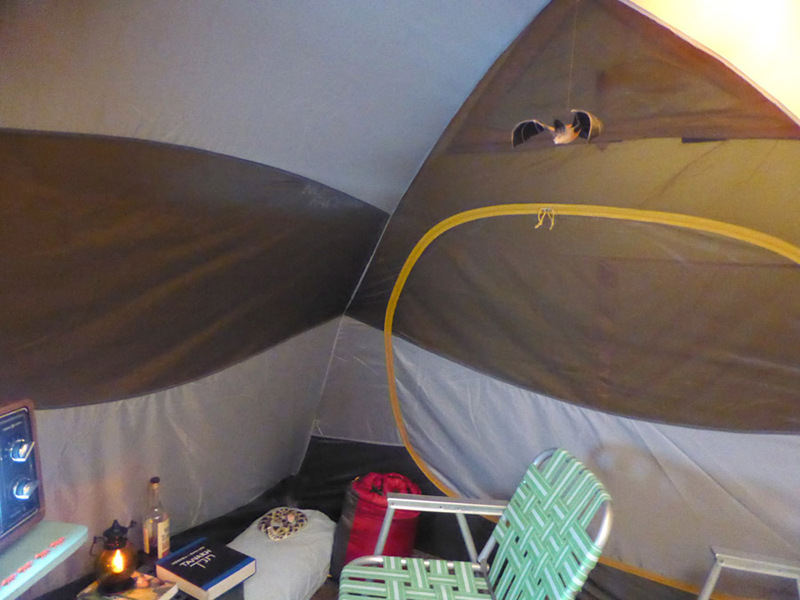 Some of the other items in the tent signify scenes from the movie: small rubber fire ants are placed about the table and a phony bat hangs from the ceiling.